willpctr has been partially removed and will no longer accept a fints object (tsobj) argument. Use a matrix, timetable, or table instead for financial time series. PercentR = willpctr(Data) calculates the Williams PercentR (%R) values for a data series of with high, low, and closing prices. PercentR = willpctr(___,Name,Value) adds optional name-value pair arguments. Data with high, low, open, close information, specified as a matrix, table, or timetable. 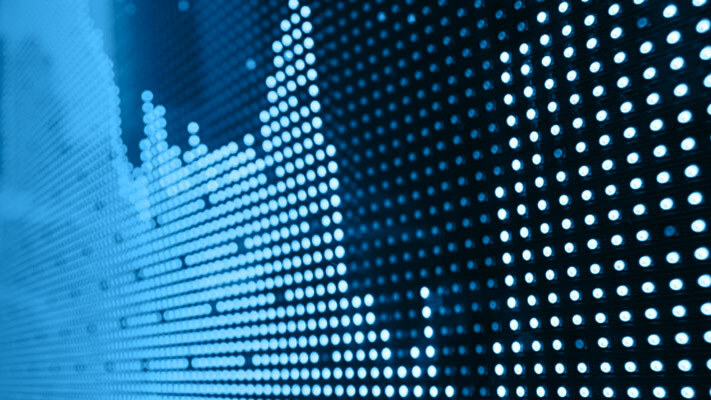 For matrix input, Data is an M-by-3 with high, low, and closing prices stored in the corresponding columns. Timetables and tables with M rows must contain variables named 'High', 'Low', and 'Close' (case insensitive). Moving window for Williams PercentR, specified as the comma-separated pair consisting of 'NumPeriods' and a scalar positive integer. Williams PercentR series, returned with the same number of rows (M) and the same type (matrix, table, or timetable) as the input Data. 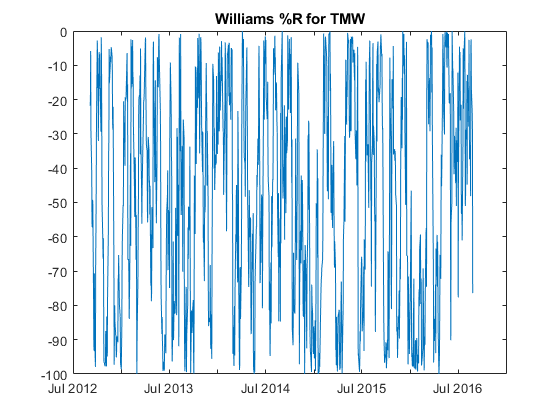 Williams %R shows the current closing price in relation to the high and low of the past n days. By default, Williams %R values are based on 14 periods. Achelis, S. B. Technical Analysis from A to Z. Second Edition. McGraw-Hill, 1995, pp. 316–317.